New York à la Keiko: Happy six..with some truffle, duck and steak! Happy six..with some truffle, duck and steak! 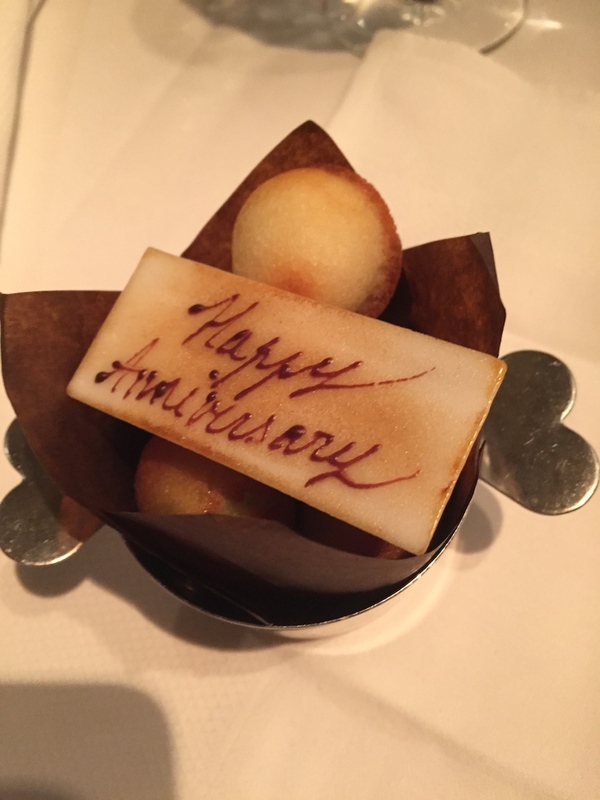 This week, the husband and I celebrated our 6 year anniversary. 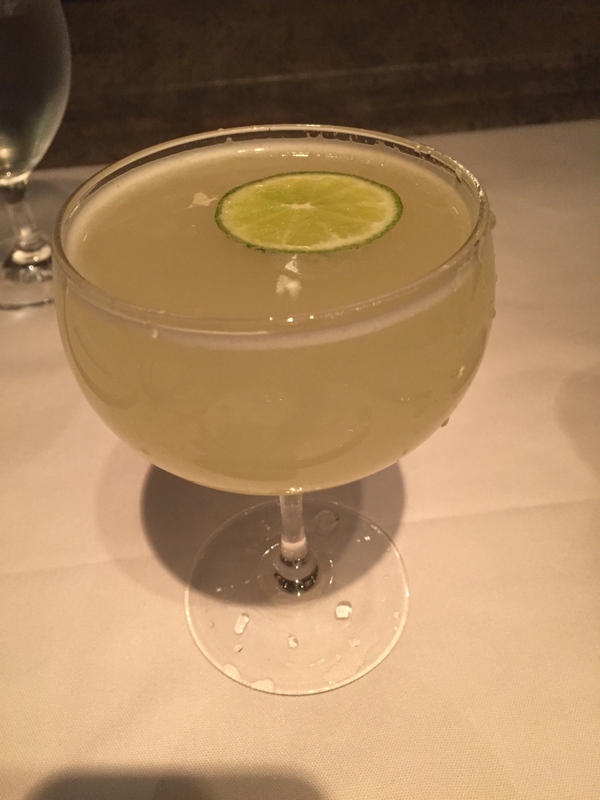 That is for our first date, kiss, trip to NY, whatever you want to call your first whatever.We had an extraordinary dinner at Gotham Bar and Grill and really spoiled ourselves. It's been a tough couple of months for me (thus my absence on my blog) but this was a treat I will not forget. I made an effort to put on some makeup after work so I could feel like 'me' again after a grueling day. A spritz of perfume always helps too (just finished my Jo Malone Peony and Blush sample). I forgot my camera but here are some pictures I took from my phone. We ordered the risotto appetizer topped with 4 g of fresh Alba white truffle. This dish was a total splurge. We have never had so much truffle shavings in our life. We've had truffle shavings once before which was served in a Shake Shack burger for like $8.50. After our trip to Italy where we sought out truffle tagliatelle but never got any, we were just trying to satisfy a lingering truffle craving I guess. The risotto was followed by our main courses. 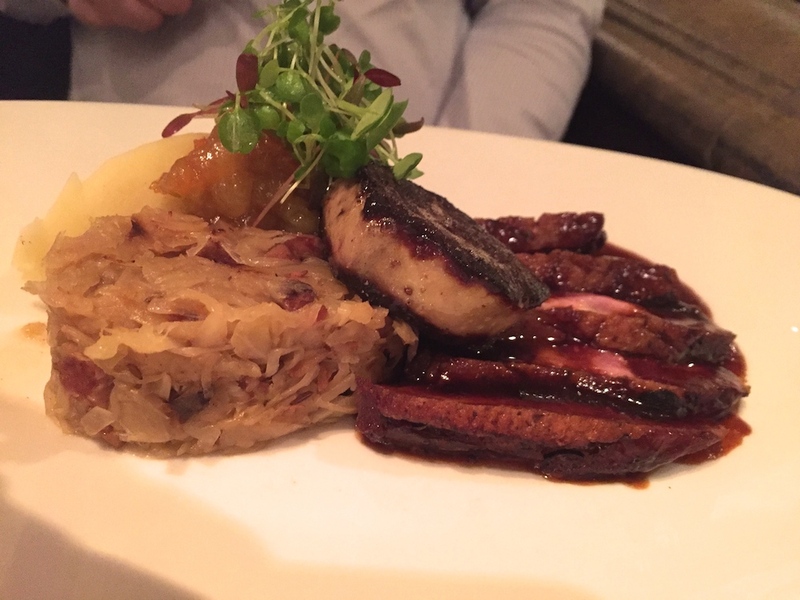 Dave went for a 'Duck Choucoutre' which came with a seared foie gras, sauerkraut and potato puree. I got a generous fatty rib-eye steak from their Gotham Select menu. It was about 15 ounce of well-seasoned totally "organic" steak. It wasn't the antibiotic/hormone- free, grass-fed cow that attracted me but the sides that came with my steak (Truffle mashed potatoes!). The steak was big. I had more than enough to share with Dave and even brought the rest home. We didn't have any space for dessert but the chocolate cake with almond ice cream was what I would have wanted to try. Maybe next time? Oh my gosh..Happy New Year? ?